I think the kids were a bit relieved to land in New Zealand where, amazingly enough, everyone spoke English. I’m still impressed at my own failure to grasp how fundamental this difference is to one’s experience; but the other very obvious difference is that it feels like winter here. We are down in 36 degrees southern latitude now, not nearly as far as you can go and still be in Polynesia (the Chatham Islands off the coast of NZ lie on the 44th parallel), but still pretty far south. Of course, for those of you in New England, you can just forget the notion of “winter” altogether – think California, more or less. When the sun is out it’s warm (maybe in the high 60s? ), even hot if you’re moving, but at night it drops down into the 40s, which for us at the moment feels pretty darn cold. Abraham, who was last here when he was 7 (Matiu was not quite 2; Dani still in utero), finds it at once strange and familiar. He said he thought it looked like Australia, and I know what he means. It’s the flora, for starters, that gives one this antipodean feeling. It’s so unlike what we have at home — Norfolk pines, tree ferns, ti tree, manuka, all that olive colored bush — yet we are now clearly in a temperate climate and not in the tropics anymore. And then of course there is the ocean; even in the temperate zones the Pacific just does not resemble the Atlantic Ocean in any way, shape, or form. And especially not in color. Did we like it because it wasn’t — for the first time in weeks – hot cocoa, baguette with jam, and a runny omelette? Perhaps. But also to be fair it was extremely good. Even Dani – who has been surviving for three weeks on French fries, eggs, bread, pineapple, orange juice, and KitKat bars – got a full-on meal. Why don’t we have these in America? But the other thing that is different about New Zealand is that we are not strangers here. Well, I’m still a bit of a stranger — having never actually lived her and only visited — and it’s all new to the children. But Seven is home — for the first time in 12 years. Which means that we have a lot of people to say hello to. Doubt that you will make it to Taranaki, but if you do give us a shout. However, the wife and I head east next Monday, she to Seattle and me to the Big Avocado. Will sail home on the Dawn Princess with stops in Hawaii, Tahiti and Samoa. Be back here on 31 August. Well that sounds like fun! But where’s the Big Avocado? 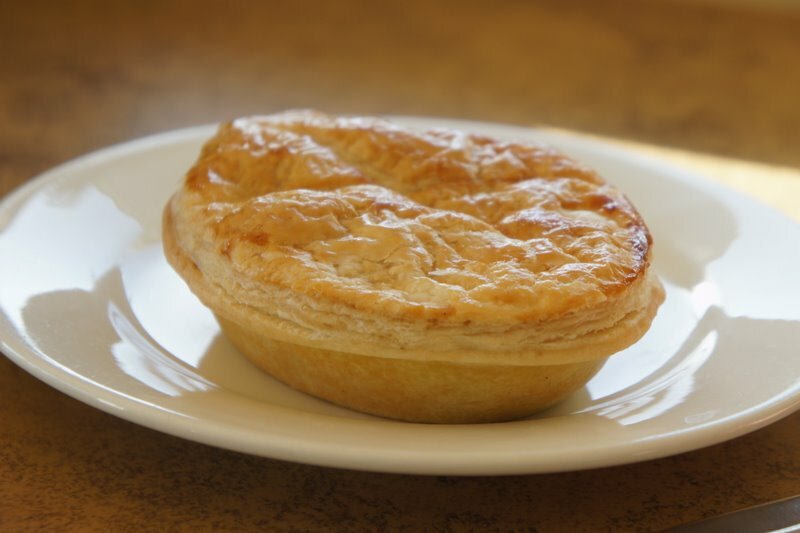 The reason we don’t have great meat pies in New England is we don’t need them. We are fat enough!!!! I am fascinated by these and see you in such a different light that it’s though you’ve landed on Mars and are reporting from there. 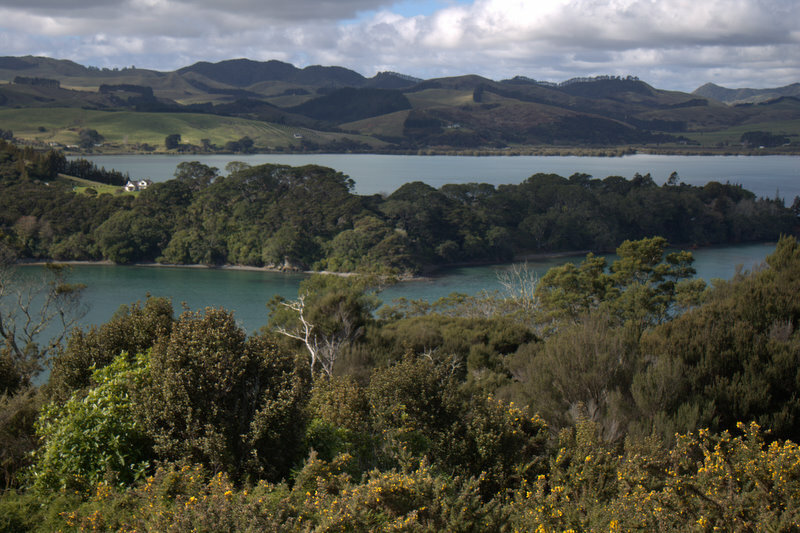 NZ–one of my Sewanee professors spent his sabbatical there. What IS the name of that marvelous film Kate Winslet made early in her career about the two adolescent girls who kill the mother of one? It’s a true story, and Winslet plays the character, I believe, who ended up emigrating to England and becoming a mystery writer. Where else? Miss Wisconsin couldn’t hold a candle to you, Miss Christina Thompson. If you are talking about the Sewanee in Tennessee, I know a Dr. Harold Goldber there. I edited his book titled, “D-Day in the Pacific: The Battle of Saipan.” Do you know him? Just an fyi…the movie discussed in Diann’s post is “Heavenly Creatures” and the mystery writer I am fairly sure is Anne Perry. Otherwise…love the listing of foodstuffs…my children have their issues with food so it’s a constant topic in the household so the discussions on food resonate. That meat pies looks so divine! I’ll have one of each kind!!! Yummy!!! Good luck getting him off the Island after being gone for 12 years! Thanks for all the postings I have enjoyed following your trip! It’s truly an adventure!!! Why don’t we have these in America = Restaurant idea. At least that’s what I’ve been thinking since I first had a chorrillana in Chile. I was in Valparaiso in what passed for the dead of winter (August). It’s a few hundred miles north of NZ, so the seasons are pretty comparable. It went from warm to chilly, but the locals treated the colder temperatures like they were in Anchorage. I’m still not sure how much of the difference that I felt was because of the latitude and how much was because of the Pacific. I grew up in a town on the Atlantic. Other than being wet, the Pacific bore no resemblance. I remember being struck when I went on a boat ride in the harbor and the sea spray didn’t have the same salty bite as the ocean at home. The problem with posting comments on your editing professor’s blog is that when you say it’s chilly in Chile, you feel the need to point out that it wasn’t an intentional pun.